Some people who are serious couponers go to many drugstores to take advantage of weekly deals. I prefer to just stick to one drugstore. So I chose CVS. I think I’ve got them pretty figured out. First- sign up for an Extra Care Card. This way you will get sale prices and earn Extra Care Bucks. Extra Care Bucks are reward dollars you can use in store on most anything except things like alcohol, tobacco & prescriptions. Next, as SOON as you walk in go straight to the Extra Care Bucks machine and scan your card. Coupons and Extra Care Bucks will print. You will also see Extra Care Bucks at the bottom of your receipts. Be sure to keep those and use them quickly as they are only good a few weeks. If you don’t already have some, buy some reusable shopping bags. Be sure to take them with you to CVS. Not only are you helping the environment, you earn money back from CVS in the form of Extra Care Bucks. First you buy a Green Bag Tag then they scan it each time you shop using reusable shopping bags. You earn $1 on every 4th scan. Also, sign up for the CVS Beauty Club. You earn $5 in Extra Care Bucks for every $50 you spend on beauty items. Plus they give out fabulous beauty coupons periodically. On Sunday I clip my coupons then go through the CVS ad. 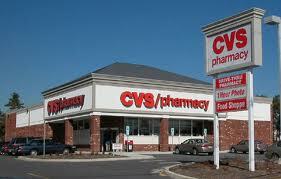 CVS advertises a ton of great deals each week where you can earn Extra Care Bucks. Pair those up with coupons and you’re doing great. Here’s an example, it’s my list from Sunday of items I bought to earn Extra Care Bucks. 1. Spend $10 on John Frieda get $3 ECBs (Extra Care Bucks). 2. $3 ECBs WYB (when you buy) a 2-4 pack of Colgate toothbrushes. 3. Earn 1 ECB wyb 1 Efferdent. (I use them to clean my CPAP machine‘s tub). 4. $2.50 in ECBs wyb 1 giant Crest Pro Health mouthwash. 5. $7 in ECBs wyb 2 Banana Boat sunscreens. I used coupons for each item as well. When I get home I clip my Extra Care Bucks and put them in my little coupon baggie for CVS to use on next week’s trip. So now I have $16.50 to use next week! It’s just like cash! Couponing to Disney has a VERY informative page on how to shop at CVS. Be sure to check it out. I was getting CVS confused with CSP. Made for an interesting post.